Amami City, held up as a beacon of humanity's triumph of technology, harbors an infernal secret. In this would be utopia, a group of hackers takes on a centuries-old mystic society to battle for control over the fate of humanity. 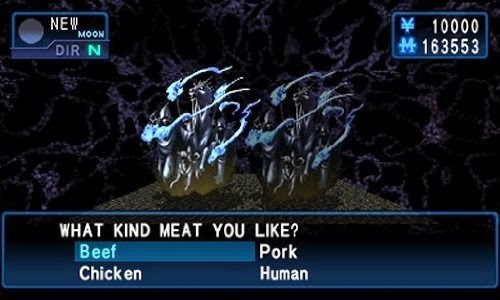 The missing entry in the classic Shin Megami Tensei RPG series finally arrives in North America. Take control of almost 300 demons, with over 30 of them unique to Soul Hackers! Evolve and enhance your Nemechi familiar with StreetPass to create new and unique demons. Box Set Bonus! Inside is a collectible CD filled with new arrangements of the game's beautiful musical themes! My starting disclaimer: Don't get me wrong. I loved the last two Persona games but I missed the maturity of their earlier incarnations. 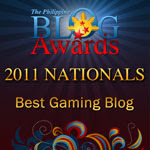 For those who have only played Persona 3 or Persona 4, I may have to warn you that this is AN OLD GAME. It is 16 years old and was originally released for the Sega Saturn and ported to the 3DS with some add-ons. If you're not ready to deal with old school difficulty, I should warn you to stay very far away from this game. Or any core Shin Megami Tensei game, for that matter. Demon fusions have never been more fun. 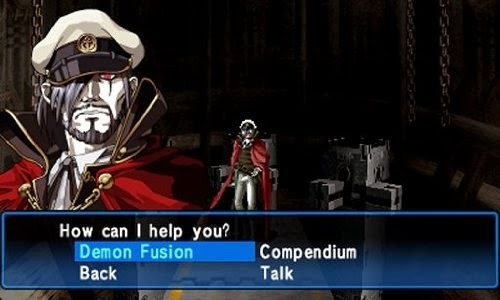 The downside is that, unlike newer Persona games where you can get penalized with wild cards for failed fusions, Soul Hackers will penalize you with NO DEMONS FUSED for failed fusions. So remember to save before you fuse. No social links. Again, don't get me wrong. I love Persona 3 or 4, but the social links have been one of my major complaints about Persona's recent direction. Like I previously said, the new Persona games can be an introvert's nightmare. Sure, it's great to discover some of your favorite characters' personalities, but hell, I don't want to be forced to make friends with the annoying ones (Ayane Matsunaga, Yumi Ozawa and Ai Ebihara come to mind). None of that namby pamby stuff here (quoting my friend Jay Anyong when we discussed how the newer Persona games make you coddle some lame character's self esteem issues even though you should be rescuing people). 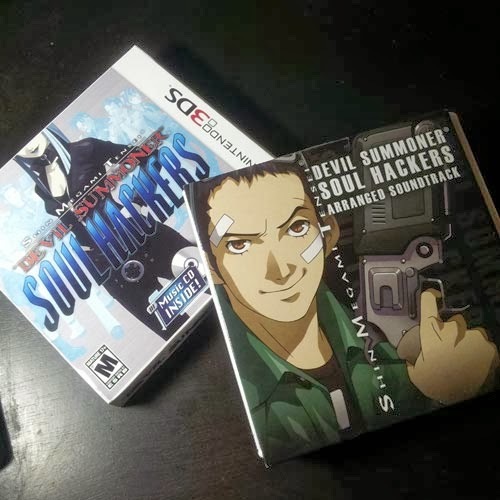 Devil Summoner: Soul Hackers is just pure old school kickass RPGaming, where you recruit demons for party members. It's like Pokémon for older players. It's fairly difficult. At least, by today's standards. After being bombarded with mind-numbingly easy games that are more like movies with very little interaction -- I'm looking at you new Final Fantasy titles -- it sure is refreshing to have to experience being challenged all over again. Let me just say that switching to "Easy Mode" is like the equivalent of Persona 3's "Default" or "Difficult" settings. Even with full HP, on default difficulty, you can easily end up dead in one turn. Take note, getting to the next save point might take forever and there's the issue of being able to carry only 10 pieces of each item. It's all about strategy. Summoning demons to use them in your party has a cost. And I'm not even talking about summoning them from your Compendium (demon library). Also, walking with demons will cost you with every step. That's why I spent most of my dungeon exploration only with the two humans in my party and just call upon my demons when I'm about to go into boss battles. There's also such a thing called demon loyalty here, which means that you cannot simply command them unless you have leveled up their loyalty. They have to like what you're asking them to do. For example, your demon may have powerful offensive attack skills, but if that demon has a "Kind" personality, it will not appreciate being asked to attack anything. It will only like to heal or guard, except when you've maxed out its loyalty. Bonuses! I love how Shin Megami Tensei releases now come with bonus soundtracks and all. The OST that comes with the package features new arrangements. Lookee! Took a photo of the package contents. It's a short game with lots of new features. 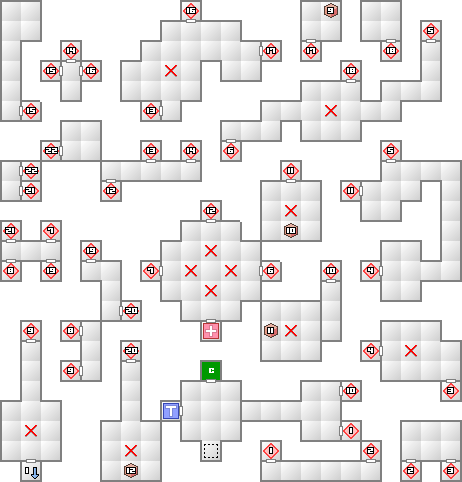 To be honest, I no longer have the patience to lug through dungeon mazes while waiting to discover the next save point. This is no longer 1997 and I no longer am a student with lots of time to kill. This is why I'm happy that you can now save anytime in portable console games. Well, at least in Soul Hackers, you'd still need to progress to about 1/4th or 1/3d of the game to unlock this feature so there's a bit of a challenge in there still. It's a short game with lots of new features. Hehe. This isn't really much of a complaint but I haven't really explored the StreetPass features. I'm too lazy that way. Characters don't leave much of an impression. For me, the real protagonist of this game is the demon Nemissa but she's just about the only interesting character in here. I hate being a silent protagonist and I wish next time they'd at least allow me to be female (like what Atlus did with Persona 3 for the PSP, where the female path actually was more interesting than the canon path) if I'm going to be "customizable" anyway. This is also the challenge with having a silent protagonist: he must be surrounded by memorable characters. So far the only memorable characters in here aside from Nemissa are two gay men who are so badly stereotyped it ain't even funny. Those dungeons. Seriously, I have half a mind to ask if the architect for those in-game buildings had been fired. Hideous trap-filled mazes are understandable in caves or in dimensional pockets like P3's Tartarus or P4's TV world, but not for buildings that represent real-life structures, like a mall. Don't get me started on the Amami Monolith where you're supposed to explore 2 buildings and the puzzles would make you go up and down and across both buildings. My only consolation is that the 3DS version has a "save anywhere" feature or I'd have thrown a hissy fit. Oh and don't forget your notebook when solving puzzles because you could easily lose track of what you're supposed to do when you're encountering battles every 3-5 steps. Unlike newer RPGs that automatically log your activity, this doesn't. Soul Hackers only logs your cut scenes. Nightmare navigation. If you were old enough to have played Doom or Wolfenstein 3D, you'd know what I'm talking about. 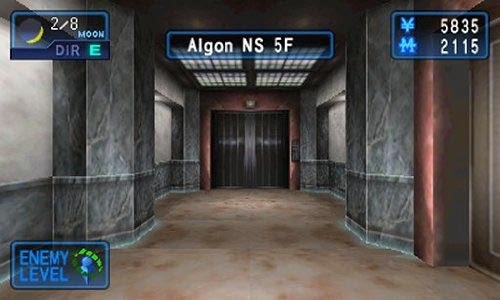 In Soul Hackers, you travel in first person mode where the "up" button means "go forward" and the "left" and "right" controls mean you either face left or right. I seriously didn't pay attention to the nifty new 3D graphics because I was too busy watching the mini-map. If I had played this game in 1997, I doubt I'd have problems with the controls. But having been spoiled by Final Fantasy in recent years, I had a difficult time adapting, especially since many of the dungeons are mazes filled with traps. Overall, though, this is one solid RPG that made me miss what it was like being an RPGamer in the 90s. If you can find it in yourself to not mind the clunky old controls, I'm sure you'd appreciate it the way I did. 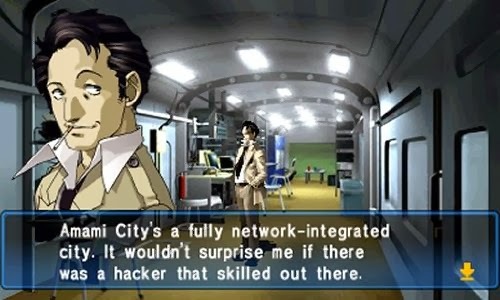 Besides, the new "hacks" that the developers added specifically for the 3DS should make things easier for anyone who is starting out with the Shin Megami Tensei series. Highly recommended.